Dr. Ho is currently an Assistant Professor in the Department of Applied Social Sciences at City University of Hong Kong. She obtained her Ph.D. from the Chinese Unversity of Hong Kong. She was a Fulbright Research Scholar to the Psychology Department of Virginia Commonwealth University, USA. She is a registered social worker (RSW) with a professional background in social work practise and counselling. 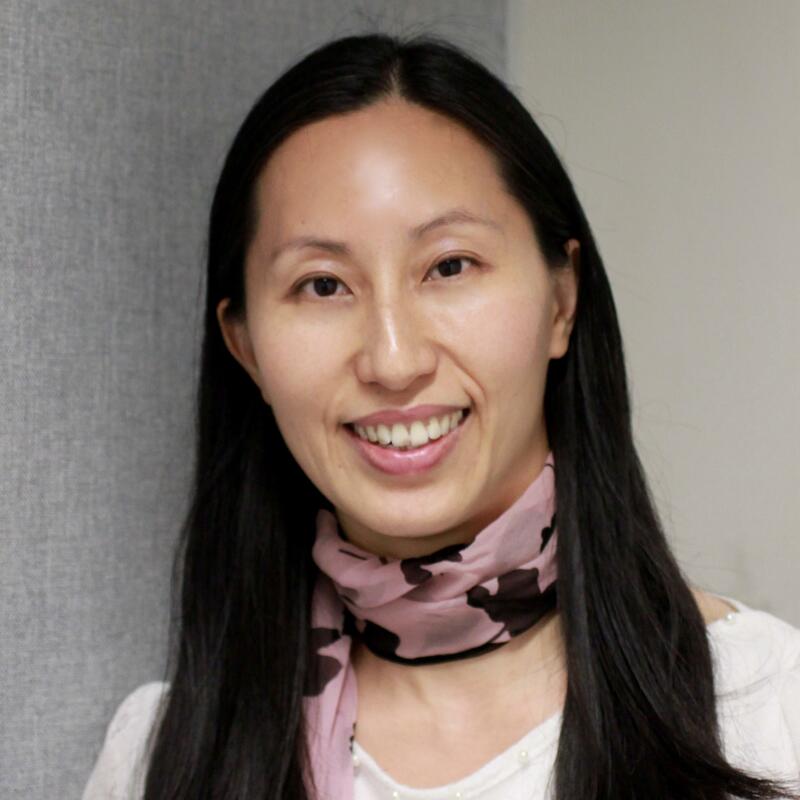 Before joining CityU, she was an Assistant Professor in the Department of Special Education and Counselling at the Education University of Hong Kong, She taught courses in school guidance and counselling, career counselling, and positive psychologlical health and well-being. Her research interest lies in the area of forgiveness and forbearance, character development, well-being and cross-cultural psychology. 2011 “Fulbright Junior Research Scholar Award” RCG-Fulbright Hong Kong Scholar Program. 2007 “Travel Fellowships” Gallup Positive Psychology Institute. 2013 - 2016, Assistant Professor, Education University of Hong Kong. 2009, Part-time Visiting Associate, Hong Kong Polytechnic University. 2008 - 2009, Research Associate, Hong Kong Polytechnic University. 2006 - 2007, Part-time Lecturer, City University of Hong Kong. 1998 - 2002, Social Worker, The Hong Kong Society for the Aged. Adventure-Based Counselling: Promoting Effective Parenting and Strengthening Parent-Child Relationship, St. James’ Settlement, 2017 - 2019, M. Y. Ho (PI). Using Mobile Phone Application and Unique Experience to Enhance Social Work Students’ Creativity, City University of Hong Kong, 2017 - 2018, M. Y. Ho (PI). Blended Approach for Social Work Learning: A Reflection-Based and User-Oriented Pedagogical Model, Funding Scheme for Teaching and Learning Related Proposals, UGC, 2016 - 2019, Ching Man Lam (PI), Chan Chi-ho (Co-I), Chang Ching Wen (Co-I), Wong Yu Cheung (Co-I), Chow Oi Wah (Co-I), Man Yee Ho (Co-I), Tam Hau Lin (Co-I). Is Forbearance Less Costly than Forgiveness? An Investigation on Self-regulation and Ego-depletion, City University of Hong Kong, 2016 - 2018, M. Y. Ho (PI). Does Conflict Resolution in Married Couples Predict their Children’s Social Experience, Interdisciplinary Research Seed Fund, Education University of Hong Kong, 2015 - 2016, M.Y. Ho (PI), T.Y. Li (Co-I). Establishing a Newly Developed Forbearance Measure, Departmental Research Seed Fund, Education University of Hong Kong, 2015 - 2016, M.Y. Ho (PI). Ho, M.Y. & Worthington, E. L. (in press). Is the Concept of Forgiveness Universal? A Cross-Cultural Perspective Comparing Western and Eastern Culture. Current Psychology. Fung, A.L.C. , Tsang, E.Y.H. , Zhou, G. , Low, A.Y.T. & Ho, M.Y. (in press). Relationship between Peer Victimization and Reactive-proactive Aggression in School Children. Psychology of Violence. Ho, M.Y. , Worthington, E. L. Jr. & Davis, D. E. (2017). Be A Peace Maker: Examining the Relationship between Religiousness and Intergroup Forgivenes. Peace and Conflict: Journal of Peace Psychology. 23. 427 - 431. Davis, D. , Ho, M.Y. , Griffin, B. , Bell, C. , Hook, J. , Van Tongeren, D.R. & Worthington, E. (2015). Forgiving the Self and Physical and Mental Health Correlates: A Meta-analytic Review. Journal of Counseling Psychology. 62. 329 - 335. You, J. , Huang, J. , Ho, M.Y. , Leung, H. , Li, C. & Bond, M. (2015). Perceived support and relational conflict as mediators linking attachment orientations with depressive symptoms: A comparison of dating individuals from Hong Kong and the United States. Personality and Individual Differences. 73. 50 - 55. Li, C. , Sum, Y. , Ho, M.Y. , You, J. & Shaver, P.R. (2015). State narcissism and aggression: The mediating roles of anger and hostile attributional bias. Aggressive Behavior. 42. 333 - 345. Lin, Y. , Worthington, E.L. , Griffin, B.J. , Greer, C.L. , Opare-Henaku, A. , Lavelock, C.R. , Hook, J.N. , Ho, M.Y. & Muller, H. (2014). Efficacy of REACH Forgiveness across cultures. Journal of Clinical Psychology. 70. 781 - 793. Greer, C.L. , Worthington, E.L. , Gartner, A. , Jennings, D.J. , Van Tongeren, D.R. , Lin, Y. , Greer, T.W. & Ho, M.Y. (2014). Forgiveness of in-group offenders in Christian congregations. Psychology of Religion and Spirituality. 6. 150 - 161. Hoffman, E. , Ho, M.Y. , Chen, S.X. & Ortiz, F.A. (2014). Retrospective peak-experiences among Chinese young adults in Hong Kong. Journal of Humanistic Counseling. 53. 34 - 46. Ho, M.Y. , Chen, X.F. , Cheung, F.M. , Liu, H. & Worthington, E.L. (2013). A Dyadic Model of the Work-Family Interface: A Study of Dual-Earner Couples in China. Journal of Occupational Health Psychology. 18. 53 - 63. Ho, M.Y. , Chen, S.X. , Hoffman, E. & Iversen, V. (2013). Cross-cultural comparisons of adults’ childhood recollection: How are peak experiences described in China and Portugal?. Journal of Happiness Studies. 14. 185 - 197. Zhang, X. , Fung, H.H. , Stanley, J.T. , Isaacowitz, D.M. & Ho, M.Y. (2013). Perspective Taking in Older Age Revisited: A Motivational Perspective. Developmental Psychology. 49. 1848 - 1858. Ho, M.Y. , Cheung, F.M. , You, J. , Kam, C. , Zhang, X. & Kliewer, W. (2013). The moderating role of emotional stability in the relationship between exposure to violence and anxiety and depression. Personality and Individual Differences. 55. 634 - 639. Worthington, E.L. , Lin, Y. & Ho, M.Y. (2012). Adapting an evidence-based intervention to REACH forgiveness for different religions and spiritualties. Asian Journal of Psychiatry. 5. 183 - 185. Kam, C. , Zhou, X. , Zhang, X. & Ho, M.Y. (2012). Examining the dimensionality of self-construals and individualistic-collectivistic values with random intercept item factor analysis. Personality and Individual Differences. 53. 727 - 733. Ho, M.Y. , Chen, S.X. , Bond, M.H. , Hui, C.M. & Friedman, M. (2012). Linking adult attachment styles to relationship satisfaction in Hong Kong and the United States: The mediating role of personal and structural commitment. Journal of Happiness Studies. 13. 565 - 578. Hoffman, E. , Resende, A.C. & Ho, M.Y. (2012). Peak-experiences among Brazilian youth. Advanced Development. 13. 64 - 79. Ho, M.Y. , Chen, S.X. & Hoffman, E. (2012). Unpacking cultural variations in peak-experiences: cross-cultural comparisons of early childhood recollection between Hong Kong and Brazil. Journal of Happiness Studies. 13. 247 - 260. Ho, M.Y. & Fung, H.H. (2011). A dynamic model of forgiveness: A cross-cultural perspective. Review of General Psychology. 15. 77 - 84. Ho, M.Y. , Zhang, H. , Lin, D. , Lu, A. , Chan, C. & Friedman, M. (2010). Saving Graces: The Impact of Current Partner Support and Current Maternal Attachment on Partner Attachments in an Individualistic and a Collectivist Context. Asian Journal of Social Psychology. 13. 19 - 29. Ho, M.Y. & Cheung, F.M. (2010). The differential effects of forms and settings of exposure to violence on adolescents’ adjustment. Journal of Interpersonal Violence. 25. 1309 - 1337. Ho, M.Y. , Cheung, F.M. & Cheung, S.F. (2010). The role of meaning in life and optimism in promoting well-being. Personality and Individual Differences. 48. 658 - 663. Ho, M.Y. , Cheung, F.M. & Cheung, S.F. (2008). Personality and life events as predictors of adolescents’ life satisfaction: Do life events mediate the link between personality and life satisfaction?. Social Indicators Research. 89. 457 - 471. Ho, M.Y. & Kwan, C.K. (in press). A cross-cultural perspective on the assessment of adolescent mental healt. The Encyclopaedia of Child and Adolescence. Wiley Blackwell. Hui, A.N.N. , Cheung, R.W.L. & Ho, M.Y. (2017). Creativity fostering teacher index as an outcome of a drama-enriched curriculum in creativity in education. CFTIndex monograph. Singapore. World Scientific Publishing Company Pte Ltd.
Worthington, E.L. , Lavelock, C.R. , Tongeren, D.R. , Witvliet, C.V.O. , Griffin, B.J. , Greer, C.L. , Jennings, D.J. , Lin, Y. , Jordan, K. & Ho, M.Y. (2014). The contributions of Christian perspectives and practices to positive psychology. Positive Psychology of Religion. (pp. 47 - 70). New York. Springer. Lavelock, C.R. , Worthington, E.L. , Burnette, J. , Van Tongeren, D.R. , Jenings, D.J. , Greer, C.L. , Lin, Y. & Ho, M.Y. (2012). Forgiveness and the psychology of peace. Psychology of Peace. (pp. 1 - 42). New York. Nova Publishers.